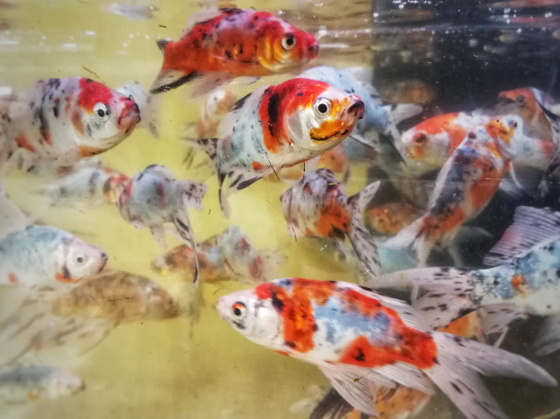 About the Shubunkins – The goldfish that is called "The Poor Man's Koi" | My Goldfish Is Alive! All goldfish breeds are man-made. Yeap, you heard me right. None of the goldfish breeds that you know actually existed naturally. The very first goldfish breed was created in China more than a thousand years ago by selectively breeding the Prussian carps. This breed is called the common goldfish. From there, more and more variation of goldfish were created through the generations. In the late 1800s, a new breed called the Comet goldfish was introduced to the world. 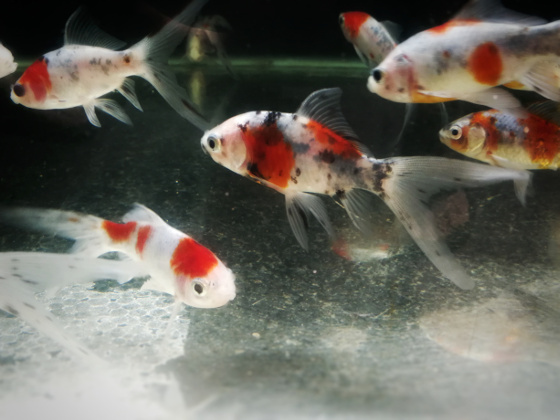 It shared a lot of the common goldfish’s characteristics but deemed more beautiful because of its long flowing fins. Then a very similar but even more beautiful goldfish breed was born – the Shubunkin goldfish. Now now… what’s so beautiful about the Shubunkins? The Shubunkin goldfish breed was created in the 1900s in Japan. Then it went through further selective breeding to produce more variations. Just a quick glance at them would make you think that they look just like any common goldfish or Comet, and you are absolutely right. 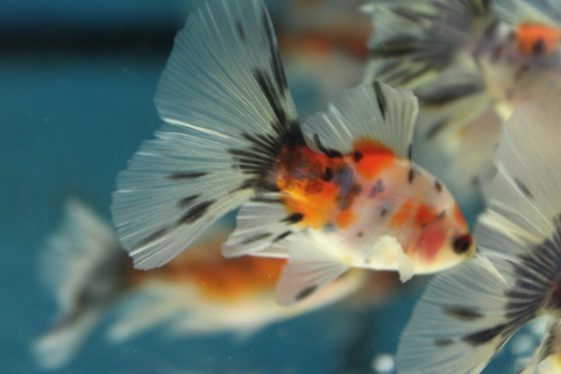 The Shubunkin goldfish does share very much the same characteristics as these two earlier breeds, as it was bred from them. American Shubunkin – the most common variation found in local fish stores. It is also called the Japanese Shubunkin. It looks almost like the Comet goldfish. 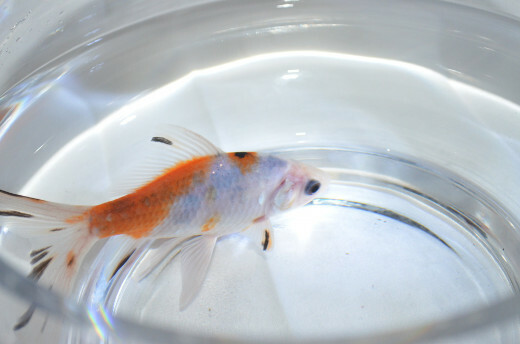 London Shubunkin – This variation is very similar to the Common goldfish in body shape and size. Bristol Shubunkin – This variation is more difficult to find and looks the best, I think. It has longer fins, and the tail is broader and rounded at the edges. Body: Although in general, the Shubunkin goldfish has a streamlined body, the body thickness differs from one variation to another. For an instance, the London Shubunkin’s body is thicker than the American/Japanese Shubunkin’s. Tail: All Shubunkins are single tailed. However, different variations display different types of single tail. The American/Japanese Shubunkin has a long and forked tail while the London Shubunkin’s tail is shorter and rounder. I think the most beautiful tail on a Shubunkin goes to the Bristol variation. It is broad and rounded at the edges. Having such body and tail types do mean that Shubunkins are faster swimmers and are less susceptible to the birth defect-related problems as compared to egg-shaped type of goldfish. The hydrodynamic body allows them to glide through the water with much ease, and the bigger body cavity provides more space for the organs to grow naturally. So what’s so special about the Shubunkins? In spite of looking very much like the Commons and Comets, all variations of Shubunkins have this very special characteristic that distinguished them from the other 2 breeds, and that lies in their scales which give them this dirty yet interesting look. Shubunkins have nacreous scales. This type of scales is also known as calico and it is basically a combination of other scales types such as metallic and matt. The combination of these scales types gives Shubunkins a mixture of glitter effect and pearl-like shine. Having nacreous scales also means that Shubunkins come in many colors combinations of red, orange, blue, black, white, etc. The base is often of a bluish white background and with patches of red, orange, grey and black scattered around the body and fins. So yeah… they may look a little dirty, but the colors are definitely interesting! 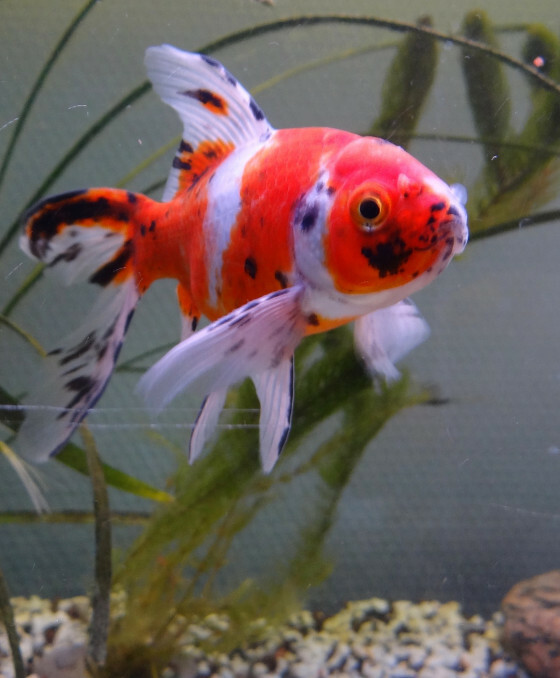 Read more about nacreous and other goldfish’s scales types here. 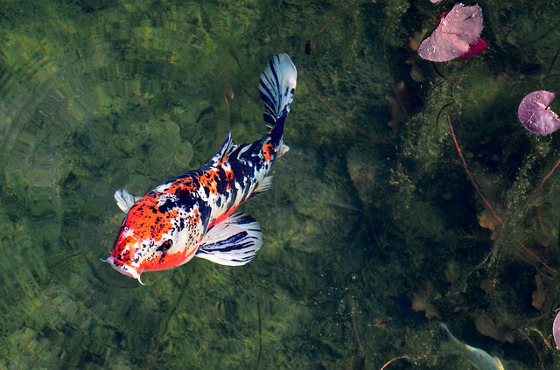 As Shubunkin goldfish can grow more than 12″ in length, they are best kept in ponds where they can live in a huge volume of water. In general, goldfish with streamlined bodied such as the Shubunkins need more than 20 gallons of water per fish to grow well. With their many combinations of colors, Shubunkins look very nice when viewed from above as they swim around in the pond, very much like Koi fish. Due to this similarity and being less expensive than Koi fish, it is no wonder Shubunkins are called “The Poor Man’s Koi”. Although Shubunkins are more suited for ponds and look great in them, you can also keep them in fish tanks. They do still look beautiful even when viewed from the sides. If you decide to do that, you must remember that they can get really large. So make sure that your fish tank is big enough for them to grow to their adult size. I would recommend at least a 50 gallons fish tank for 1 or 2 Shubunkins. So what are your thoughts about the Shubunkins? Do you think they live up to their reputation as “The Poor Man’s Koi”? Leave your thoughts and comments in the section below! All the best from Brussels! That’s great. 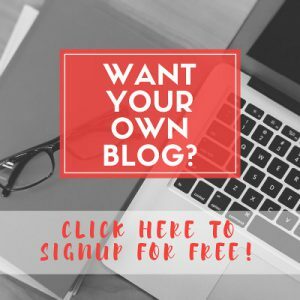 I am so happy to know my blog post has helped. All the best to you too!